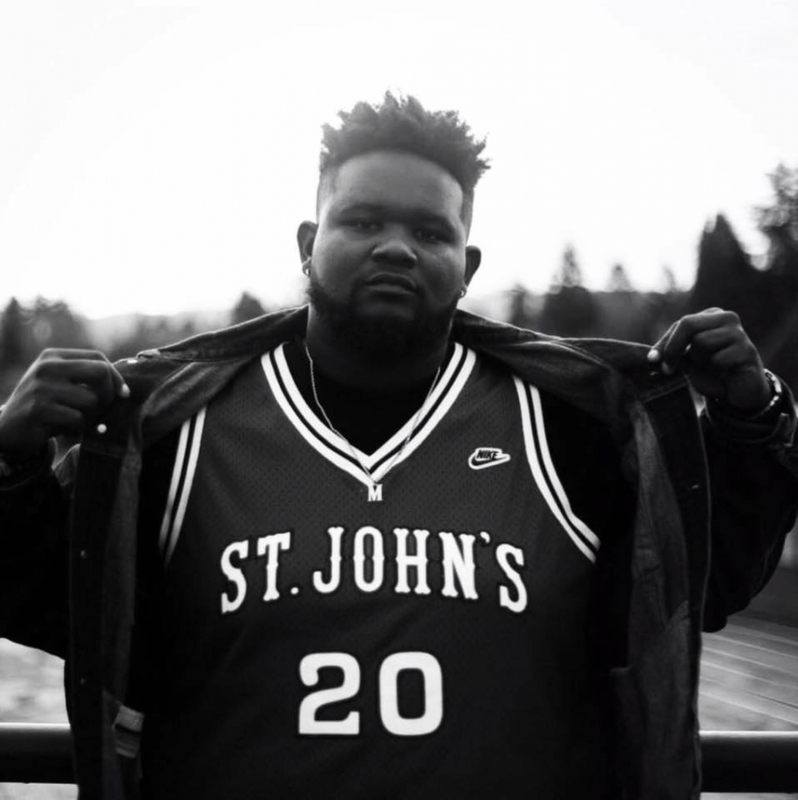 Rigsketball is notorious out here for a reason. Starting back in 2011 by everyone's favorite mohawked musician and talented And And And drummer Bim Ditson, Rigsketball pins 32 local bands against each other in numerous rounds of basketball narrowing each down until an obvious winner prevails. The last rounds of the Rigsketball tournament are tomorrow starting at 2pm with a world record setting (Guiness Book of World Records officials will be there to prove this) game of H-O-R-S-E and the final game round starts at 7pm. 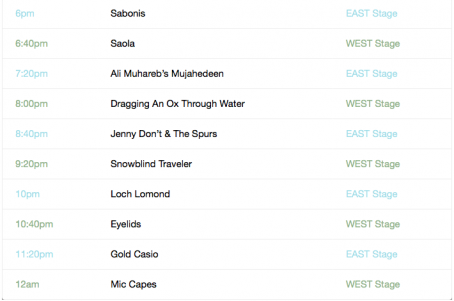 Accompanying the heated game rounds will be performances by nine Portland artists. Music begins at 4:20pm (hah!) with two different stages. 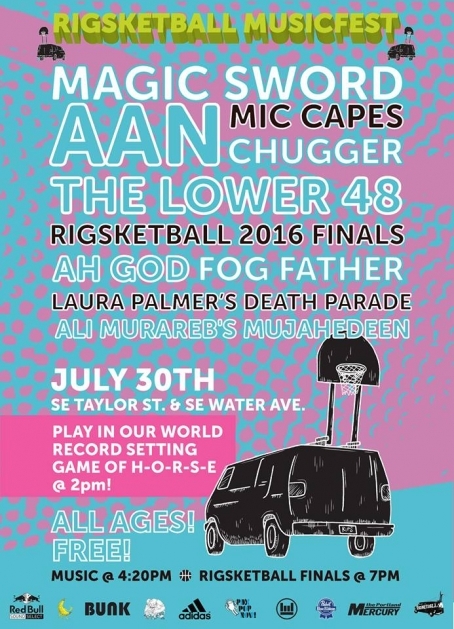 The Rigsketball Musicfest 2016 is free, all-ages and sure to be a damn good time. Peep the lineup times below and be sure to come on down and chill outside of Water Ave. Bunk Bar to watch all the action.